Are you a Twitter user with a small business? Perhaps you’re already actively involved in chats yourself. If that’s the case, this post might resonate with you and be of value. When Twitter launched in 2006 and became all the rage, I didn’t bat an eyelid. It wasn’t until the beginning of 2012 that I finally started to “get” what Twitter was about. A couple of years later I discovered tweet chats and made some great acquaintances as a result. If this is all new to you, you’re welcome to stick around. I’ll give you a quick introduction then share what I consider the good, the bad and the spammy (crappy) aspects of tweet chats. You only need be a regular twitter user. You don’t need to be following anyone in particular or have anyone following you to participate. It’s not like joining groups on Facebook or LinkedIn. Anyone can get involved in Twitter chats. Twitter chats, or tweet chats, are social conversations occurring at set times using a common denominator in the form of a keyword. A hash (#) is appended to the beginning of the keyword to act as the search engine glue binding Twitter discussion topics. So, when you search a keyword/keyphrase using the # symbol inside Twitter, a list of tweets tagged with that keyword will be returned. You can save the hashtags for quick reference. This chat method can be used by small businesses to build visibility, familiarity and reputation among a community or peer group. Twitter chats work best when they focus on a specific subject, topic, theme or concept. A framework gets everyone to focus on a shared idea. It’s good for camaraderie. The chats should ideally be once a week, for one hour at the same time. Think about when people can commit their time. Use Google SMS to send tweet chat reminders to your phone. Interact with people, add value to the conversation and be generous. When in doubt, be human. Posting images can work well because those tweets occupy more real estate. Photoshop or Paint.Net (free) can produce eye catching graphics. When I take part in a chat I have Photoshop open ready to produce graphics on the fly. If you can do this quickly in real time it can have a greater impact. If you’re producing images based on screenshots of text (as shown above) make sure the original file has text that is big enough to read. The example I just showed is small but the preview can be clicked to display larger. Tip: Consider creating your images in advance during the week. Set them up to be scheduled during the tweet hour. Scheduling tweets during the chat CAN work if done with finesse. Prepared images, links or comments that are relevant, on topic and valuable can be set up days in advance. It’s like having an extra pair of hands, and since tweet chats move fast you might not get time to create images because you’ll be busy chatting. If you host the tweetchat, creating a friendly header graphic with a picture of a human face sets positive expectations. Include some details about the time and day of the tweet chat. It’s recommended you create a .PNG and use the correct dimensions for the Twitter header. 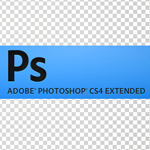 As of April 2015 the dimensions are 1500px X 500px but be aware these can change. Try separating the text of your tweets on to new lines, one below the other. It’s easier to scan the content and the tweets stand out more. Attention small business owners… Every Tuesday at 9pm GMT we get together & chat for 1 hour.. Use the tag #SmallBizHour Come & say hi! It’s a good if the host personally reaches out to other users and asks them to participate. This works well with users who have already been a part of past chats and may just need a friendly reminder. It also shows the host is taking it seriously because they’re taking the trouble to personally mention it. Experiment with posting short audio clips of you speaking and then tweet these out. You don’t need to sound perfect. And it’s not about how many people listen, favourite or retweet. It’s about making stronger connections. Soundcloud is free and offers 180 minutes which is plenty if you record 1 minute clips. Use audio voice clips for driving relationships deeper with the people you’re already talking to. I’ve made a quick video showing how to use Twitter and Soundcloud together. Chats shouldn’t be based around an individual or a business. By all means, a business can organise, run and chaperone a tweetchat but it is not all about them. Chats without a topic are less likely to do well because expectations are not being set ahead of time. Daily chats are probably a little bit too much and the conversation will likely run out of steam. Don’t post videos at the beginning of the tweetchat because that requires eyes as well as ears, and takes people’s attention away from the Twitter feed. 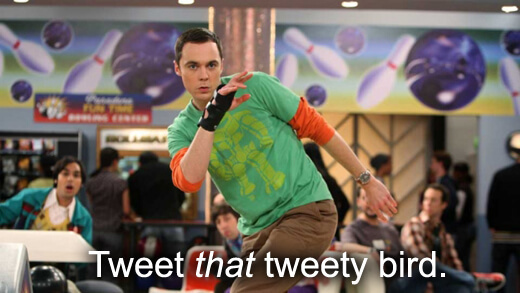 Don’t copy and paste the same tweets over and over – be original and use different words each time. Use a picture of your face instead of a brand logo. Corporations use logos because they’re not personal. Small biz is totally different and will benefit from using a profile photo. It’s more relatable. If you’re going to schedule links, be careful if you’re using HootSuite. 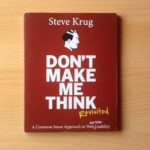 Simple – because all the links look like this: http://ow.ly/LgDvk. This is a tell tale sign of automation and gives the impression you’re not actually present. I’ve learned to spot HootSuite short links and I’ll bet others have too. Watch your p’s and q’s on social media. Unless you know how people like to be talked to, substitute the bad language for something more palatable. Unsolicited advertising is a bug bear for the majority of us taking part in tweet chats. I don’t know about you, but I’m tired of people trying to sell me stuff. Don’t you prefer to “buy” of your own accord by joining the dots on your own and reaching a conclusion? If you’re beating people to death with your sales message the best you can hope for is that no one notices your incessant begging pitches. In tweet chat streams, spam is tolerated but never welcome. Most people are too polite to tell you to shut up. If there’s a persistently annoying Twitter spammer clogging up the hashtag feed with crappy sales pitches, mute them. Under their tweet will be an icon comprising three small dots/circles. Clicking Mute will mean you no longer see their tweets even if they continue spamming the hashtag. You can use this for people you follow too but if they’re THAT annoying you would probably just unfollow them. When I first joined some of the tweet chats in 2014, I deliberately stirred things up by publically calling out the spamming and low quality interactions. I never personally identified anyone as a “spammer” and have no intention of doing so. It just pissed me off to see business owners committed to their delusions of aggressive advertising. Lazy. Anyway, the following recording was posted to some of the tweet chats and it led to me making deeper connections with one or two people who felt the same as me. I may sound negative in the clip, but honestly, it’s passion. If you participate regularly in tweet chats and have a website, it might be worth embedding a Twitter timeline of your own participation in the chats. 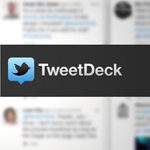 Just to clarify: create a feed of tweets mentioning your @username and which include a #hashtag. Then you embed this timeline on your website, perhaps the “About” page. It shows a human side to your business. Great for consultants. 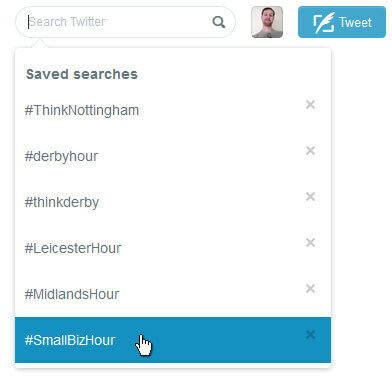 The host of @SmallBizHour came up with the brilliant idea of organising every Twitter tweetchat into a narrative timeline using a tool called Storify. Here’s an example of one of Rebecca’s storify timelines. It’s free to use and allows any Twitter user to hand pick the best contributors (and leave out the spam) as way to collate valuable information and reshare it. This repurposing of user generated content is a wise way of reframing what already exists. Thinking of Starting a Twitter Chat? You may be interested in this Social Media Examiner podcast about Twitter chats and how to create a successful one. The interview gives a lot of insight into how to become a valuable contributor too. Tweet chats can be a mixture of formal and informal, but they really should be about the community. If you know what the tweetchat is going to be about weeks or days in advance, by all means write a blog post on the subject and share it during the chat. Don’t retweet other hashtag participants just for the sake of it. No. Blindly retweeting other people’s spam in the hope they’ll do the same for you is a false economy. It is just mutual backslapping and pointless. Share good quality relevant resources from other sites and use the hashtag to make sure it is seen. You want to teach other users to expect quality when you share a link. Let me put it like this: if you’re just interested in advertising your services by blasting out website links and sales messages then I’d prefer it if you stayed away from Twitter altogether. On the other hand, if you understand the value of human connections, why it’s important to build trust and why you must earn attention, tweet on! Do you have anything to add? Do you have tips or warnings worthy of sharing? A Useful Mega-List of Tweet Chat Hours! Cookies, Privacy and Permission: Is Your Website Legal? Thanks for this article Darren. I am late for a meeting, but I’ll be back…no pun intended 🙂 to read the whole thing. Thanks for all you do to help. It’s a pleasure Joan! Do you participate in any Tweet chats? I know what you mean about the Twitter spam! I hate all the sales Tweets during the chats. Thanks for your tips, I had better start to learn to use Photo Shop! You can always try Paint if you feel Photoshop is too complicated. Paint.Net is free and open source, a good place to begin. Thanks so much for including the link to the uber list of Twitter chat hours! It took an absolute age to compile and seems like there’s a new chat to add every week. Ever since I started to implement Images into my tweets, response and engagement has gone through the roof! Thank you for the links to some free resources..